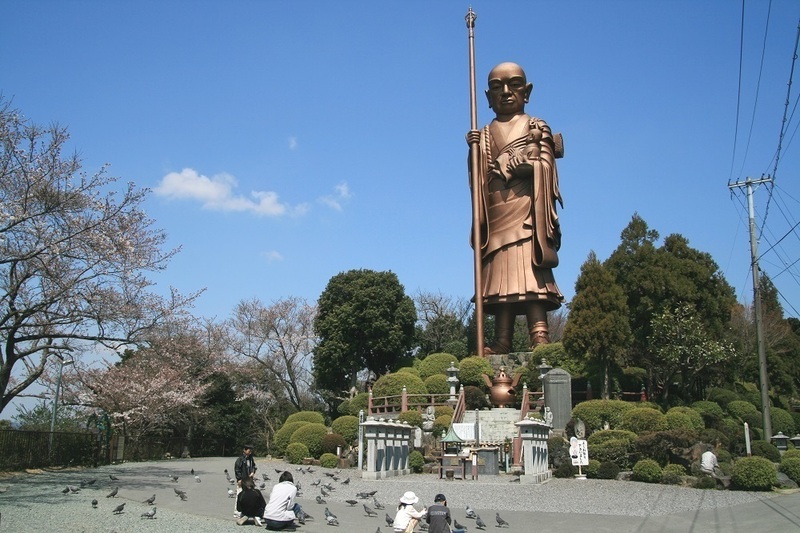 The Koyasu Kobo Daishi Statue boasts a height of 18.78 meters, making it the tallest in the East, and is said to bring the blessing of healthy childbirth. 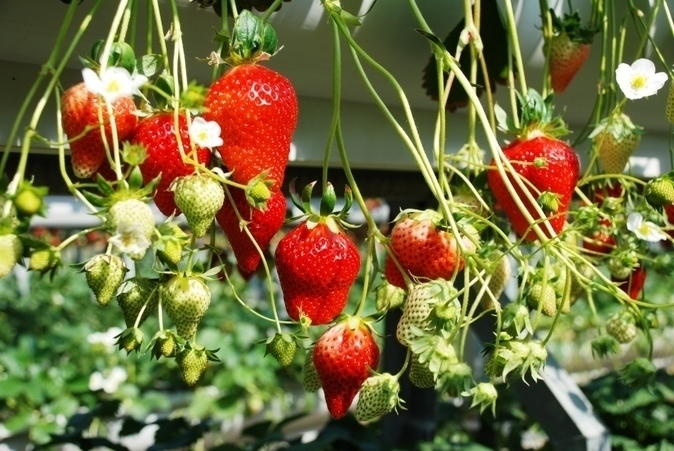 Its stature is said to be 62 shaku (18.7 m) due to Kukai's age being 62. 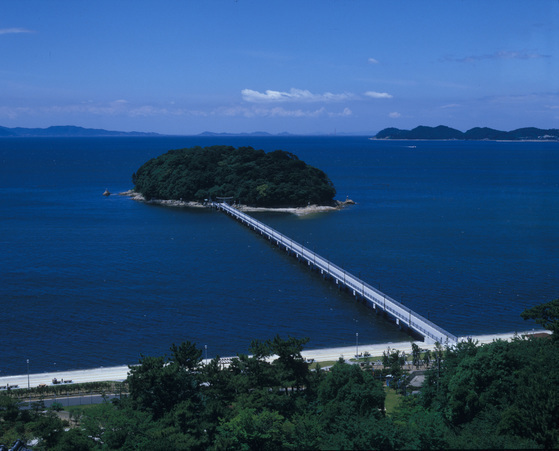 Meanwhile, the khakkhara staff is said to raise 22 meters above the sea level with taking in account the height of Takeshima. In addition, the child he's holding, his earlobes, and his eyes are said to be 5, 1, and 1 meters long, respectively. On days with clear weather, Mt. 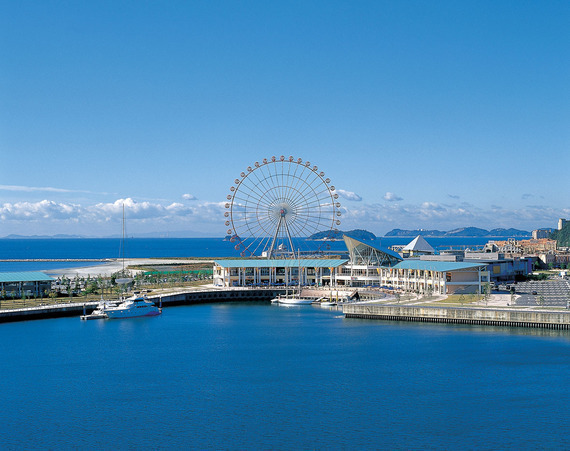 Kobo obtains a superb view of the Mikawa Bay Quasi-National Park at its foot. 20 minutes by car from the Otowa or Gamagori Interchange of the JR Central. / 7 minutes by taxi from the Mikawa Miya Station of the JR Central. / 15 minutes by taxi from the Gamagori Station, ride the Meitetsu Bus and get off at the Nanshanko bus stop, then walk.